Retailers are incorporating new digital advertising technology to bridge the gap between their online and retail shops. As discussed in McKinsey & Company’s article: “the worlds of traditional commerce and e-commerce are merging”. Retail marketing is leaning towards being omni-channel. Digital transformation in retail is evolving every year to fulfil customer desires. Many companies are unaware of the constant upgrades being made in retailing because of its accelerated evolution rate. Retail shops are embracing smarts around digital advertising, like personalising the experience to the shopper, and e-commerce platforms have progressed from being an “unrealistic trend”, into an inseparable part of people’s lives. E-commerce and brick and mortar stores are no longer rivals in the retail game. The two platforms have merged to provide cross-channel fulfilment for customers. Retail is now omni-present on phones, computers and in stores. But have in-store shopping experiences died? Contrarily, positive shopping experiences are reinforcing customers to visit stores more often. Personal interactions with customers trigger emotional shopping advantages that online shops lack. Retailers are trying to augment customer engagement through in-store retail marketing entertainment, powered by innovative digital strategies. 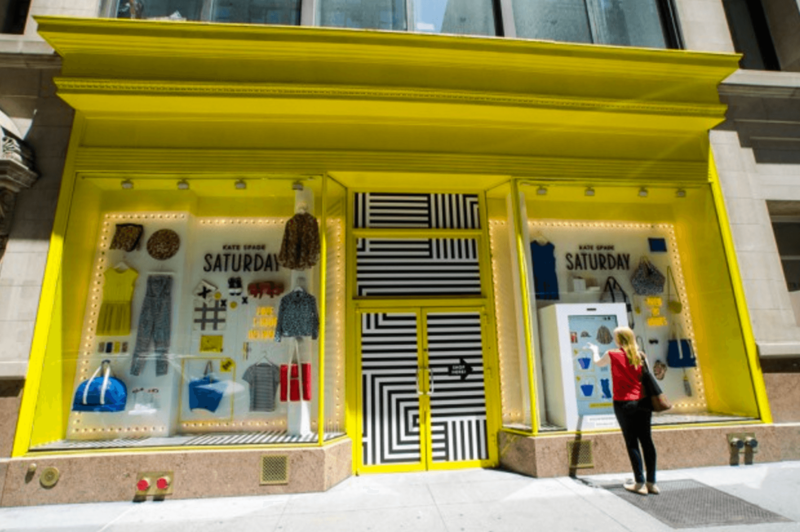 New York retailer Kate Spade’s interactive window display allowed passersby to browse through clothes and accessories through a touchscreen, right from the sidewalk. The 24 hour installment let customers purchase items at anytime and have them delivered to their homes within an hour. Another company that has implemented interactive digital windows is Australian golf retailer Drummond Golf. These fresh and unique digital technologies ensure a customer’s spontaneous shopping habits are catered for. Customers use digital stores to look for a specific product they have in mind. Browsing through a diverse selection of irrelevant products can overwhelm customers. To capitalise conversion rates, it’s essential to target a customer’s specific need with filtered products that match their interest. However, online shops don’t entice customers to buy more. But customers who visit stores to purchase a specific product are motivated to purchase more because of the store’s appeal-level. To counterbalance the gaps of e-commerce, retail outlets need to give customers a fulfilling in-store shopping experience. Digital tech merges online shop’s and retail shop’s best functions to streamline shopping experiences for customers. Digital is enhancing an online shop’s appeal-level, making retail shops easy to navigate through innovative technological installments. Online shops and brick and mortar stores are working hand-in-hand to provide a full-fledged shopping experience. 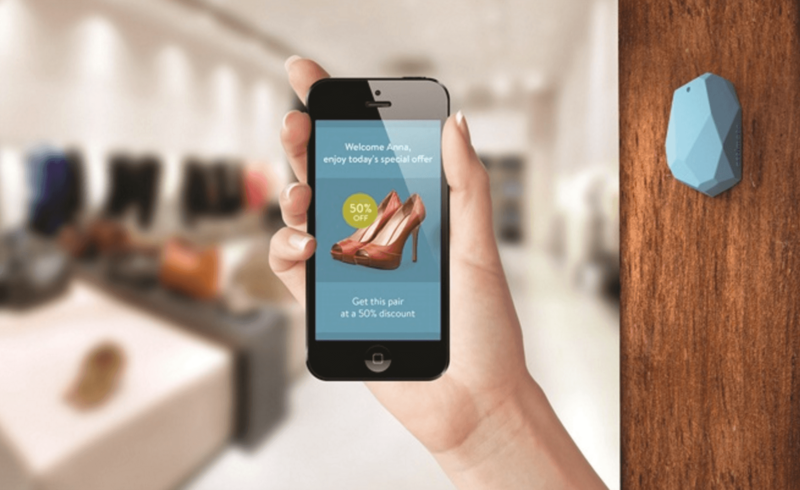 High-end department stores, like Neiman Marcus, are using in-store bluetooth beacons that interact with phone apps to guide customers towards making sales. By bringing an online platform’s benefits into stores, retailers are using quality data to fulfil customer’s specific needs. Websites record crucial data about a customer’s shopping habits. As an example of this, the Neiman Marcus app sends push notifications to a customer’s mobile as they enter a store. The purpose behind this is to show the customer where they can find products they were previously looking at online. The app also sends customised discount alerts and notifies staff about loyal customers as they enter the store. Additionally, customers can check information about an in-store product by searching the store’s online platforms. Retailers are also reconstructing their distribution centre models. Distribution centers are doubling up as retail touchpoints. Customers can make massive wholesale purchases directly from warehouses at the click of a button through e-commerce sites. E-commerce giants, like Amazon and eBay, up the game by delivering specific orders within 30 minutes. This is a major shift in shopping online, in bulk. Where previously retail stores operated on a B2B basis, this is now also becoming a B2C operation. As customers can now make personal orders and ship direct in bulk, supply chains have also been drastically altered. As a result of this, there’s also more pressure in distribution centers to update their automated technology that can aid in faster fulfilment processes. Businesses are rapidly integrating demand networks into their supply chains in distribution centers. Demand networks are customer centered models that focus on providing speedy and satisfactory fulfilment. The system is based on fulfilling a customer’s demands for optimised good quality, cost transparency and delivery of services. Incorporating retail functionality within distribution centres provides customers with instant gratification. Goods-to-person networks are forced to consolidate multi-channel cross-selling to better manage customer needs. Customers are provided with a diverse set of product options to choose from, utilising their personal phones or computers. The ease of accessibility to these distribution centers through online shops are vital elements required to maximise customer engagement. Successful retailers are using the combination of both online shops and physical outlets to hike customer conversion rates. In the future, there will be an influx in innovative in-store installments, retail distribution centre revolutions and digitally revamped e-commerce platforms. As the retail industry expands, omni-channel platforms will rise in parallel, to provide customers with endless options.